O-Buds Alphas earphones include our unique brandable tangle-free strap, pantone matched to your chosen colours and displaying any company, team or charitable logos and text of your choice. 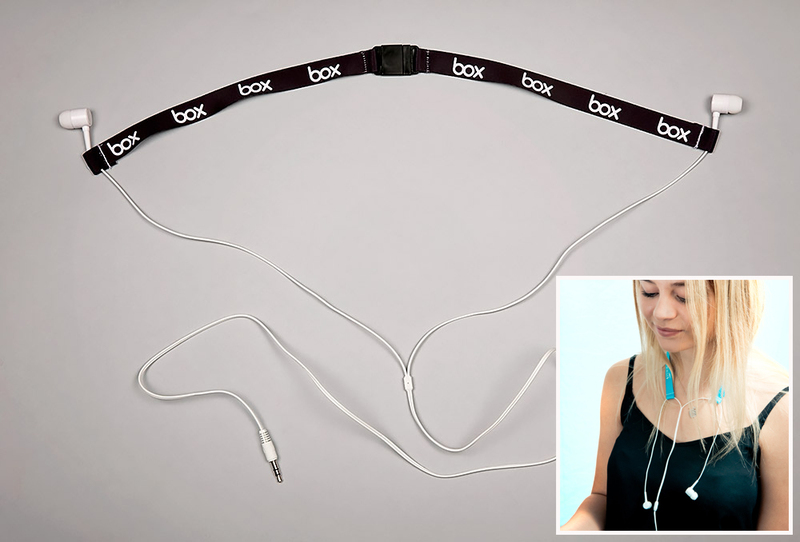 The Alpha strap enables the user to alternate between the use of one or two earbuds at a time, or hang around the neck when not is use. Alphas also come packaged in a clear PE bag at no extra cost. Other packaging solutions are available- please see our range below. O-Buds Primas earphones incorporate good quality audio with a SmartMic for hands free use. 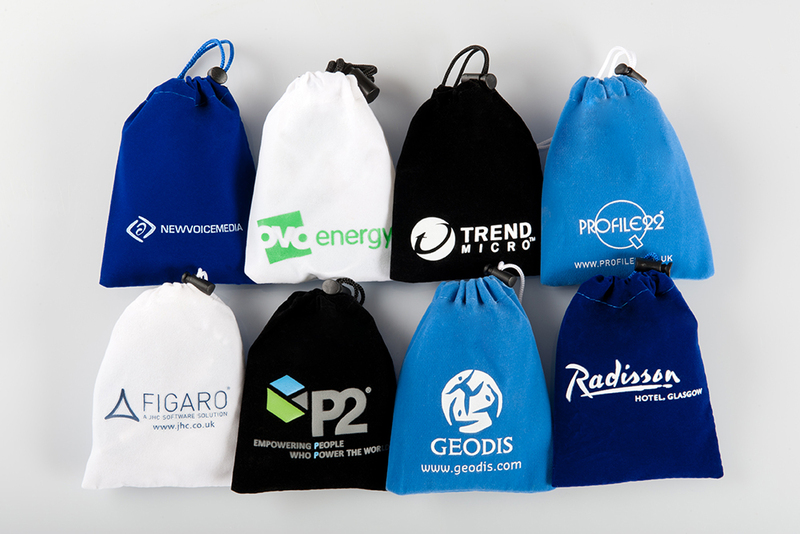 They provide excellent branding opportunities on the unique tangle-free fabric sleeve, (a lanyard type material which runs along the length of the wires), displaying any logo or text requested. The fabric sleeve can be pantone matched to the colours of the brand and display websites, slogans or a call to action. Although the Primas cannot be branded on the earbud, (see our Standard, Classic and Novas earphones below for earbud branding) they can be coloured if the minimum order quantity is met, with the possibility of using coloured earbud adapters too. O-Buds Regular earphones incorporate good quality audio with a SmartMic for hands-free use. 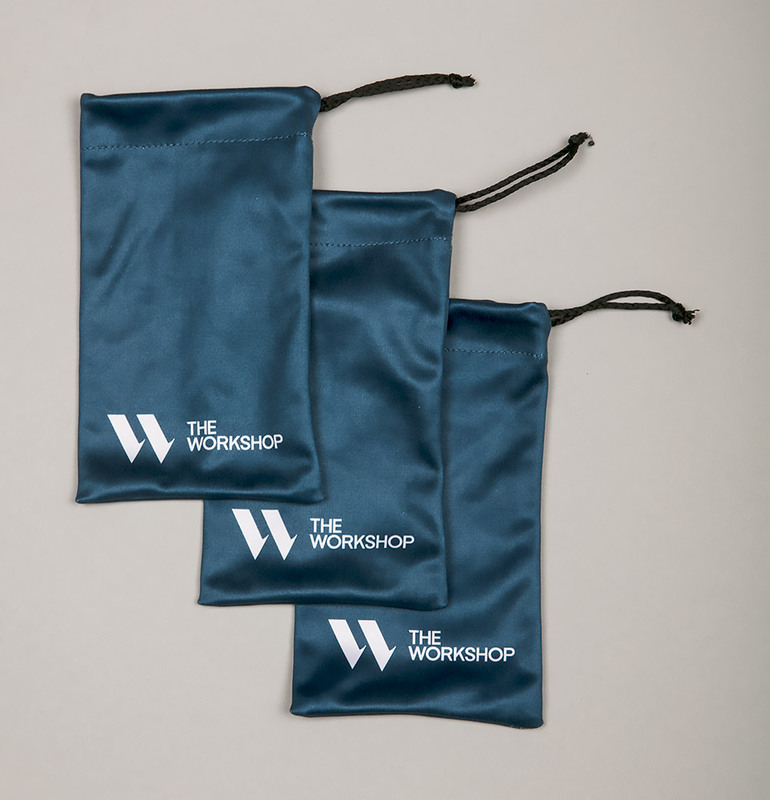 They provide excellent branding opportunities on the unique tangle-free fabric sleeve, (a lanyard type material which runs along the length of the wires), displaying any logo or text requested. The fabric sleeve can be pantone matched to the colours of the brand and display websites, slogans or a call to action. The O-Bud Regulars use the iPhone 5 shape earbud. Although the Regulars cannot be branded on the earbud, (see our Standard, Classic and Novas earphones below for earbud branding) they can be coloured in any pantone you wish if the minimum order quantity is met. O-Buds Standard earphones feature excellent quality audio and durability with a SmartMic for hands free use. The Standards incorporate our unique and brandable tangle-free sleeve, pantone matched to your chosen colours and displaying any company, team or charitable logos and text of your choice. The Standards are also branded on the earbuds, and come packaged in a clear PE bag with a branded header card, all at no extra cost. Other packaging solutions are available- please see our range below. O-Buds Classic earphones feature excellent quality audio and durability with a SmartMic for hands free use, and include all the brandable opportunities of the O-Buds Standards with our unique and brandable tangle-free sleeve, pantone matched to your chosen colours and displaying any company, team or charitable logos and text of your choice. The Classics are also branded on the earbuds, but what sets them apart from the Standards, is that they come with stylish flat wires. Classics also come packaged in a clear PE bag with a branded header card, all at no extra cost. Other packaging solutions are available- please see our range below. O-Buds Nova earphones include all the brandable opportunities of the O-Buds Classics with our unique and brandable tangle-free sleeve, pantone matched to your chosen colours and displaying any company, team or charitable logos and text of your choice. The Novas are also branded on the earbuds, have a SmartMic for hands free use, and have stylish flat wires. Our Nova earphones are built to a very high standard and have extremely high quality audio. Novas also come packaged in a clear PE bag with a branded header card, all at no extra cost. Other packaging solutions are available- please see our range below. The O-buds can be presented in a zipped case which is of a high quality, sturdy design and will showcase your brand and logo. The zipped case can be embossed with your logo or printed. The O-buds can be presented in a high quality velvet bag. The bag will come in your chosen colours and logo to showcase your brand. The O-Buds can be presented in a high quality Micro-Fiber bag. The bag will come pantone-matched in your chosen colours and any logo to showcase your brand. © Copyright O-Buds and its licensors | All rights reserved.